Yesterday, The Hollywood Reporter brought word that Iron Man 3 writer/director Shane Black would write and direct a reboot of the Predator franchise, but tucked at the end of that piece was an update on another Shane Black project, Doc Savage. The site mentions that Black recently met with Thor himself, Chris Hemsworth, about taking on the title role, a casting suggestion that Black thought was "not a bad idea" back in September. 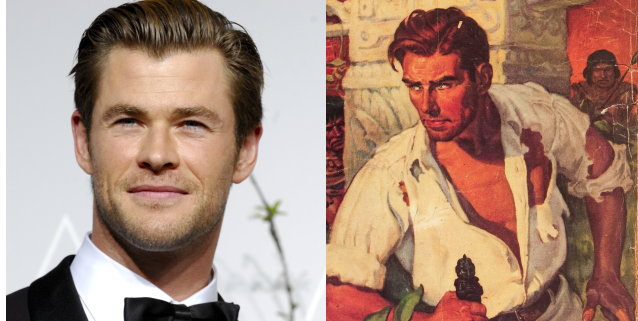 It remains to be seen if Hemsworth will take on the role, however, as Black's slate continues to fill up with his 1970's noir film The Nice Guys set to film later this year and the recently-announced Predator, it could be some time before we see the Man of Bronze on the big screen. Check back here for more details on the project. 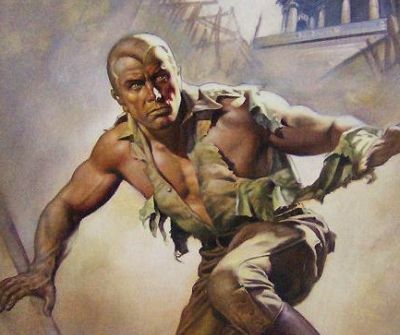 Black will direct Doc Savage for Sony Pictures from a script he has co-written with Anthony Bagarozzi and Charles Mondry. Neal H. Moritz is producing the project with Ori Marmur through his Original Film banner. Michael Uslan will also serve as a producer on the film. No release date is currently set.